The project “Games for good” aims to show that the responsible companies, the good health of the employees, sports and the meaningful causes can go hand in hand. 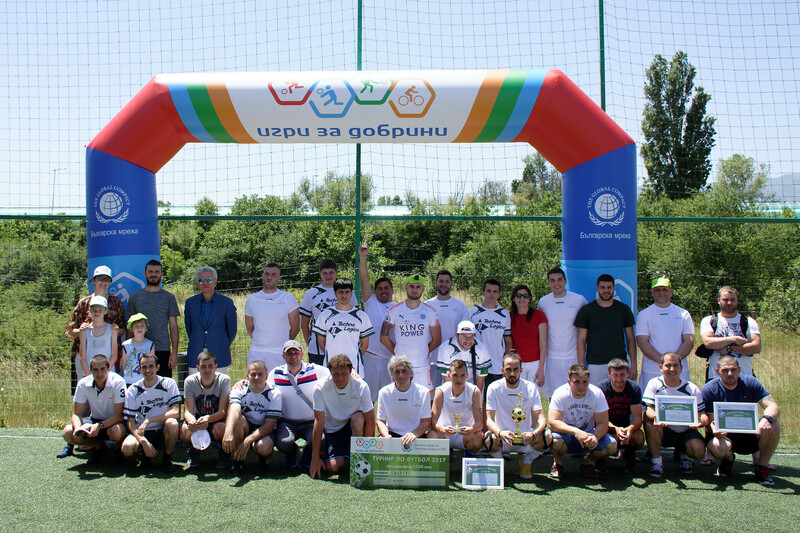 For that purpose the Bulgarian network organises sports tournaments where each of the companies participating, has pre-selected a charity cause in the name of which they give their maximum effort to win the competition’s prize fund. During this year’s pilot edition there were organised four separate tournaments in several different sports disciplines: football, tennis on court, cycling and volleyball. A total of 93 enthusiasts coming from 5 member companies took part in the competitions, and 7500 BGN (3800 EUR) were given out for charity. The “Games for good” project is part of the Bulgarian network’s collective programme “Healthy at work” and is directly related to executing Network’s Strategic plan goals on Sustainable Development Goal 3 “Good Health and Well-Being”. For more information of the project, please contact us on secretariat@unglobalcompact.bg.